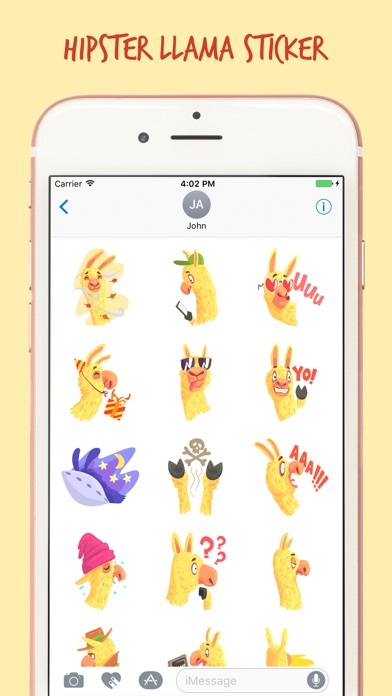 Cool Llama stickers for you to download! 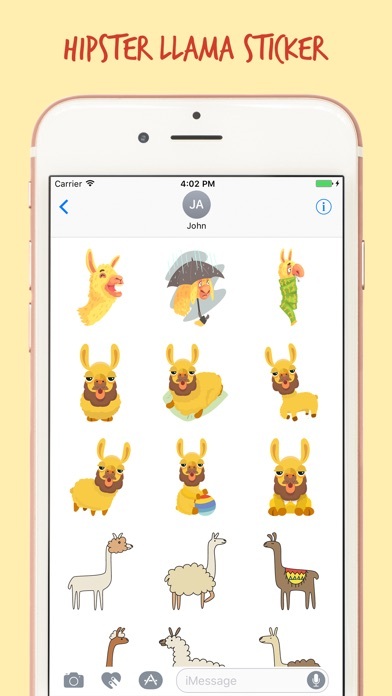 Tips of installing stickers: • To access Messages apps, compose a new Messages to a friend and tap the Messages App Store icon. • Tap the four oval icon on the lower left corner to open the app drawer. 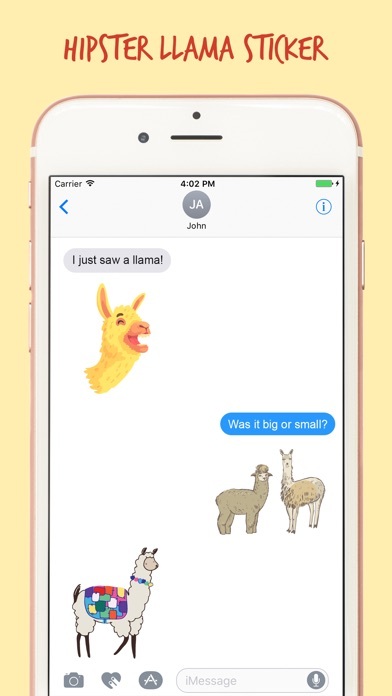 From there, tap the plus icon ( '+') to access the Messages App Store. • In the App Store, tap the Manage tab to add and see your apps to your app drawer. 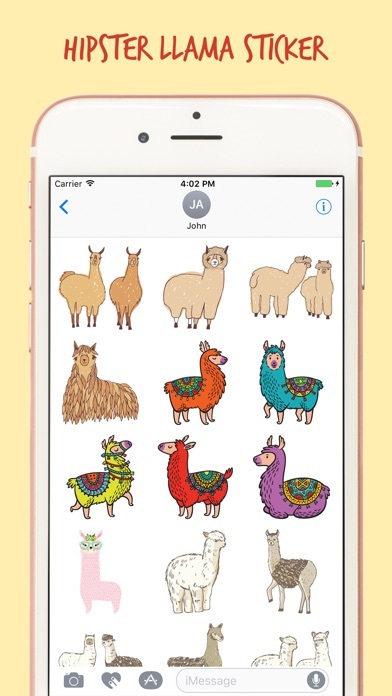 How to use stickers: • Open iMessage from your iPhone • Select the your app's sticker • Just with a single tap send stickers • Layer stickers over each other in conversations • Scale & Rotate stickers by using a second finger before you place it on a bubble.